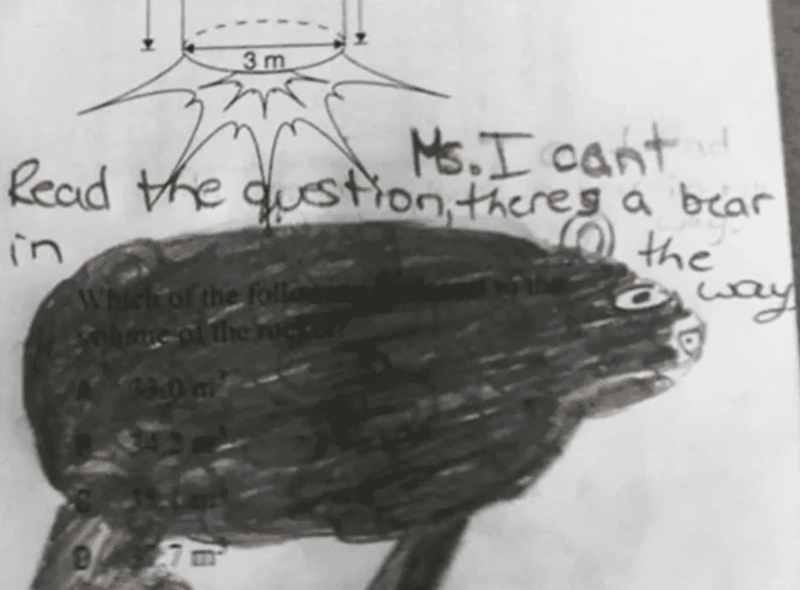 Some people have no problem taking and performing well on tests. But that’s not the case with everyone. Some struggle when they perform on tests. Some people just draw a blank when they see that test form. They just tense up and crack under pressure. 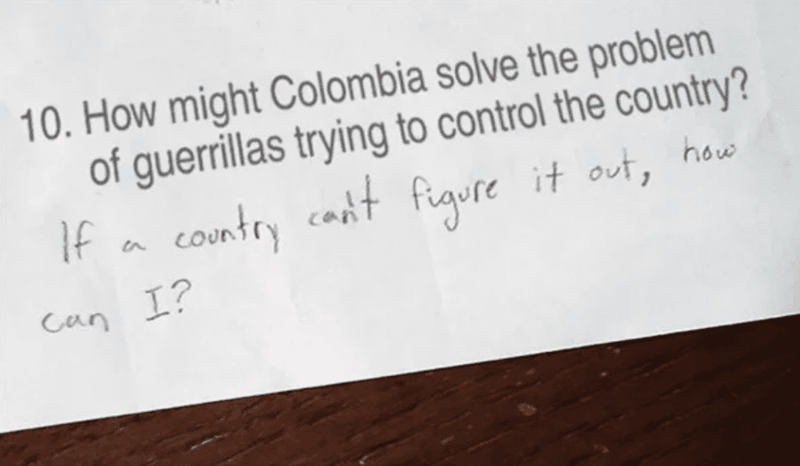 But while they may not know the test answers, they have some other answers. These people are smart in an entirely different way. They have more of a creativity kind of smart. And they are hilarious. 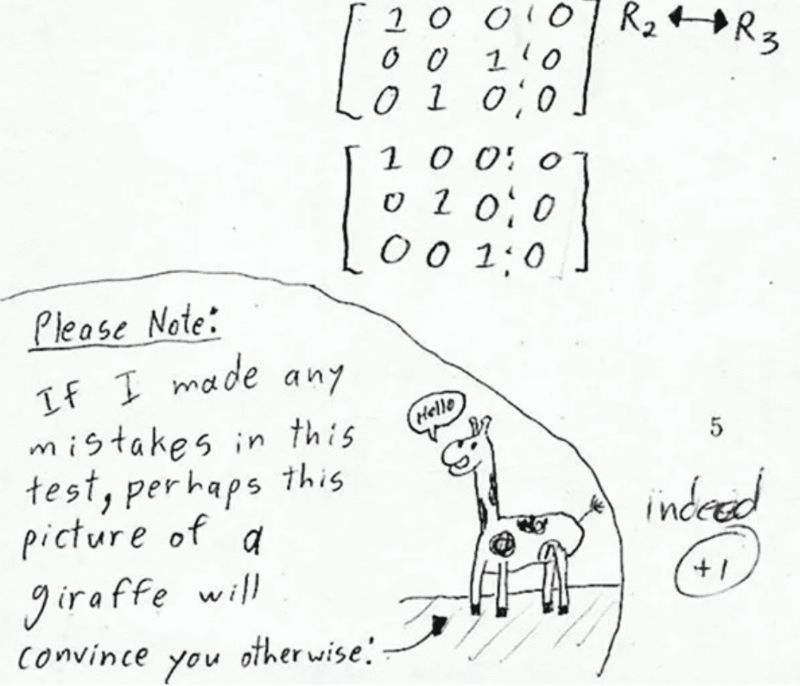 Here is how those people respond to test questions. All things lead to all things. Well, according to this answer at least. When you can’t choose one… choose them all. Having freedom of press is one of the most important things in society. This person doesn’t seem to know that. They think it’s all about the free ironing jobs. 3) How Do You Know What You Know? Knowing the answers isn’t enough. You need to know how you arrived at that answer. 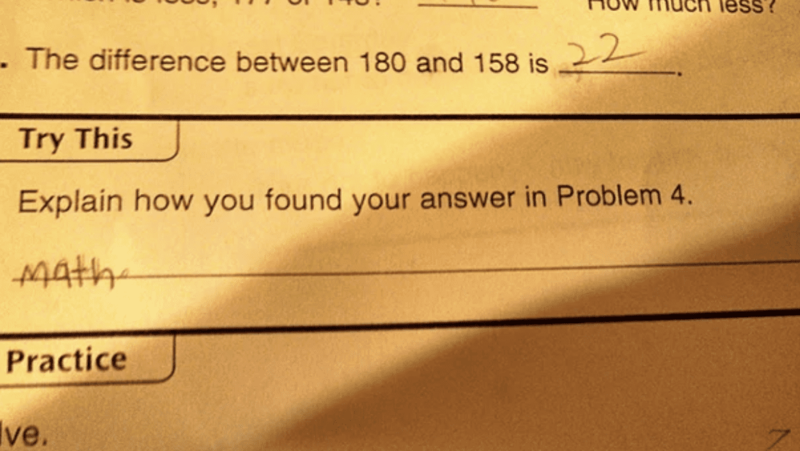 The answer in this case is… math, duh. Sometimes you win. And sometimes you win and fail. This is one of those times. You wanted me to find it. I found it. Next time be more specific. This kid doesn’t go crying to mommy or his teachers. He deals with his own problems. He just gets over it. This isn’t going to cut it. 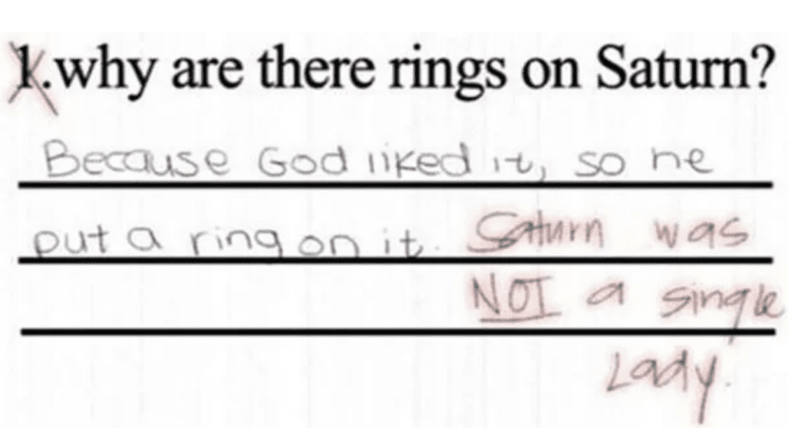 Even in Catholic School. 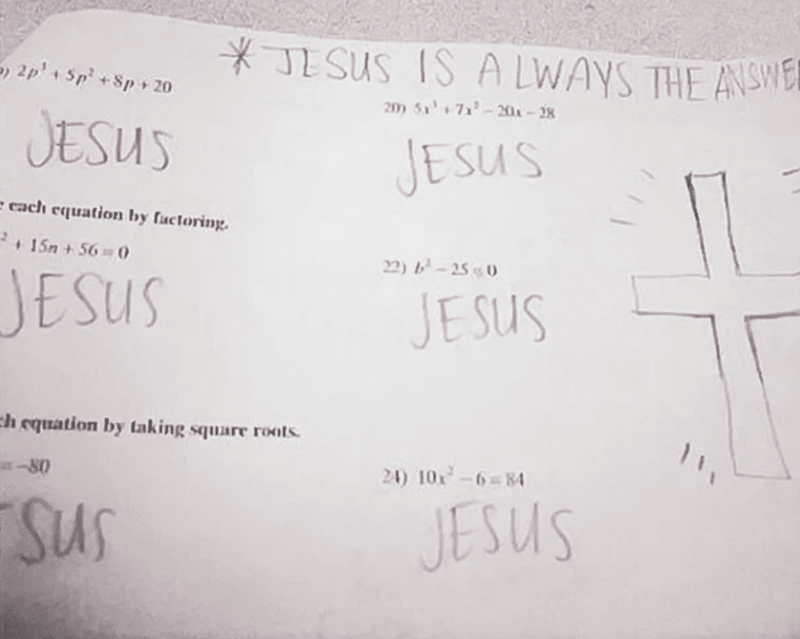 Even if you think that Jesus is always the answer. Teachers really need to be more specific. 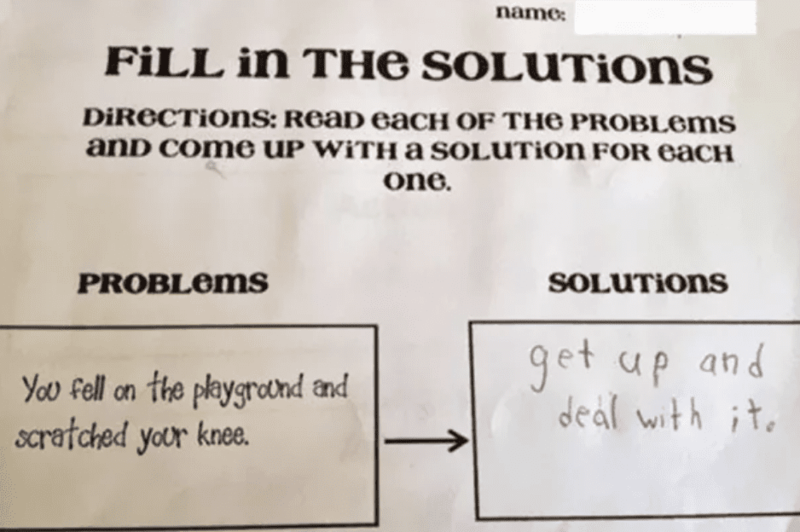 This teacher meant show how your work that solved the problem. But that’s not what was asked. This is an instance where giving a weird answer actually paid off. It seems silly to give such young kids grades in the first place. 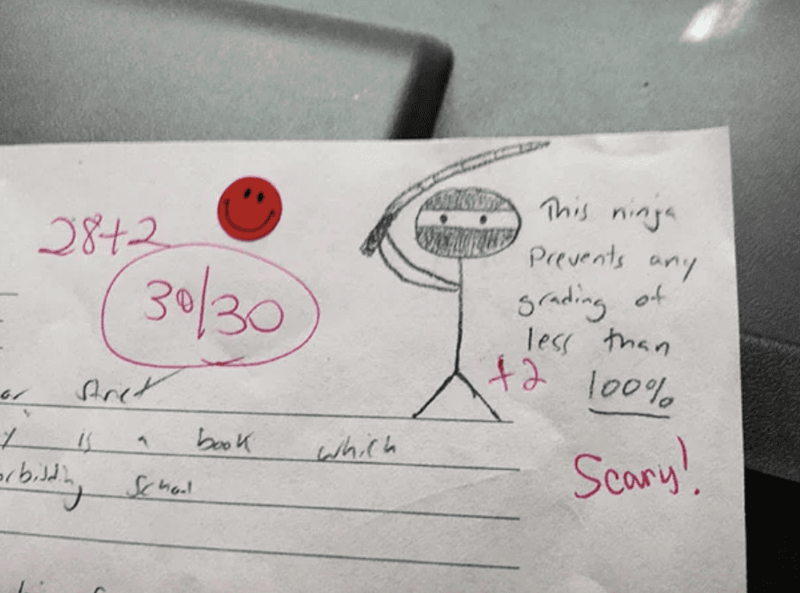 Especially when you can arbitrariliy add points for drawings of cartoon ninjas. Clever… but not that clever. This kid is about four animals off. He also needs to brush up on his math skills. Why do you expect a school age child to answer such a question. Especially one where there isn’t a right or wrong answer. 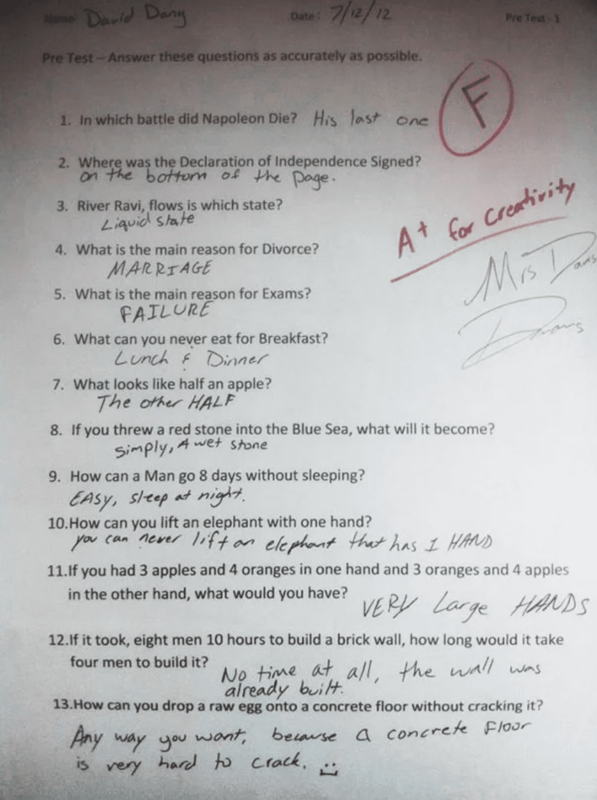 This kid’s response is brilliant. 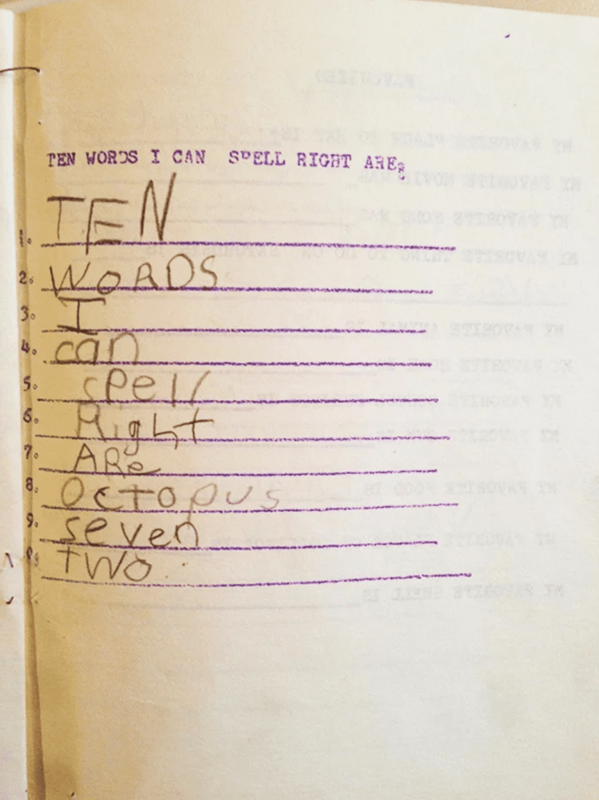 This kid just so happens to know the same words at the teacher does. To be fair, he does know some others. I mean octopus is pretty good. 13) Is This Fight Club Or Science? 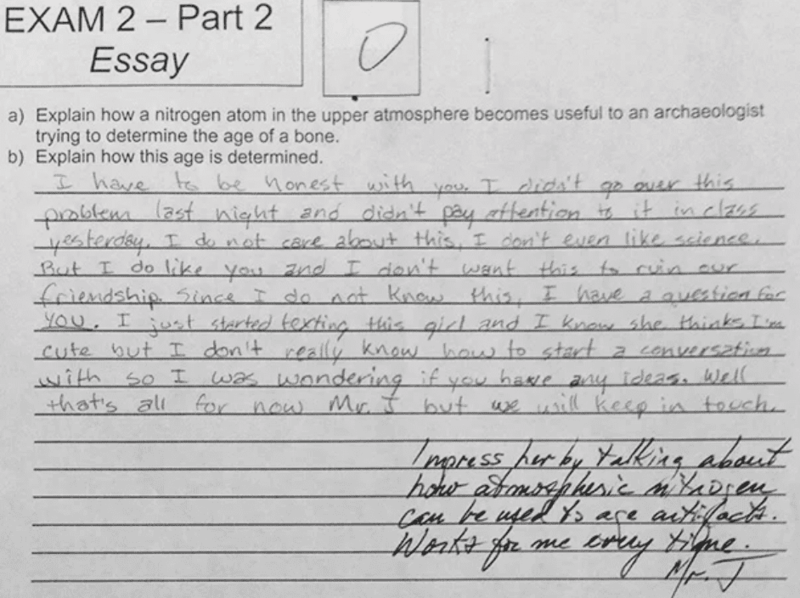 Something tells me that this teacher will not be amused. This is science club. Not fight club. 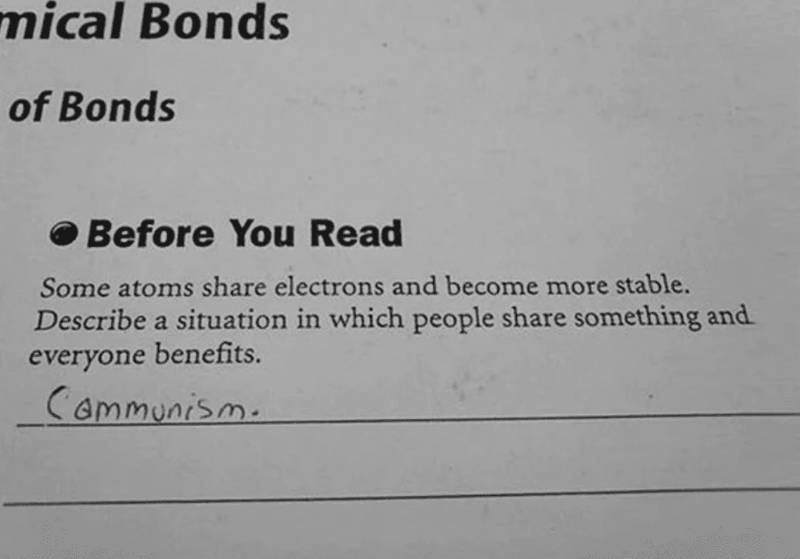 Some of these kids are smarter than their teachers. 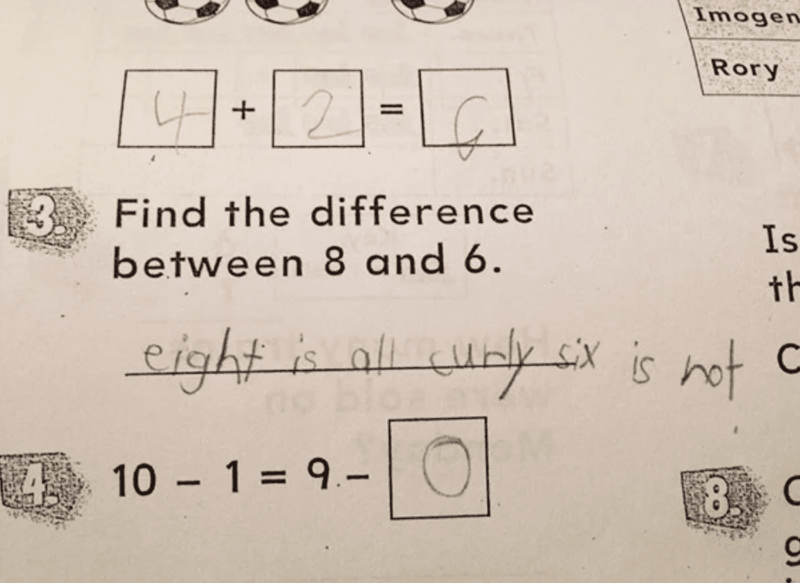 This kid knows math and he is clever. These teachers need to say what they mean. 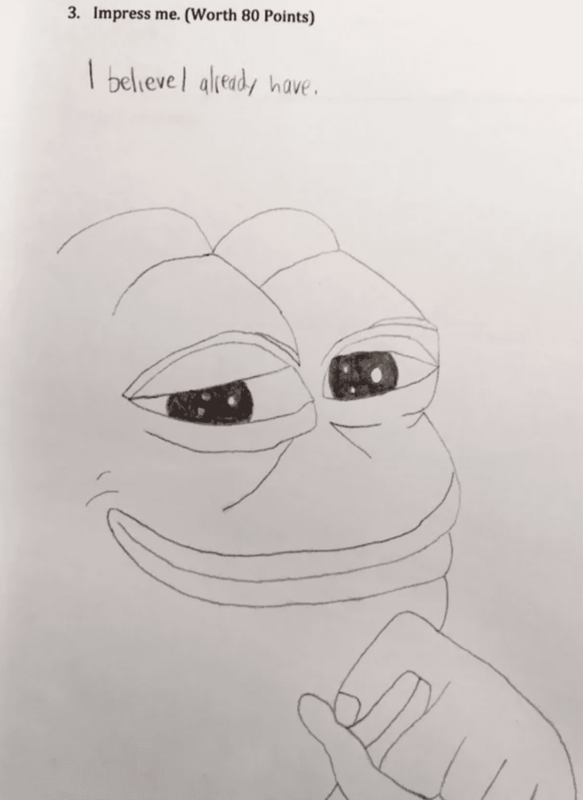 It’s good to know that art is still valued in schools. I mean, it should account for something. It’s a pretty good picture of a giraffe. 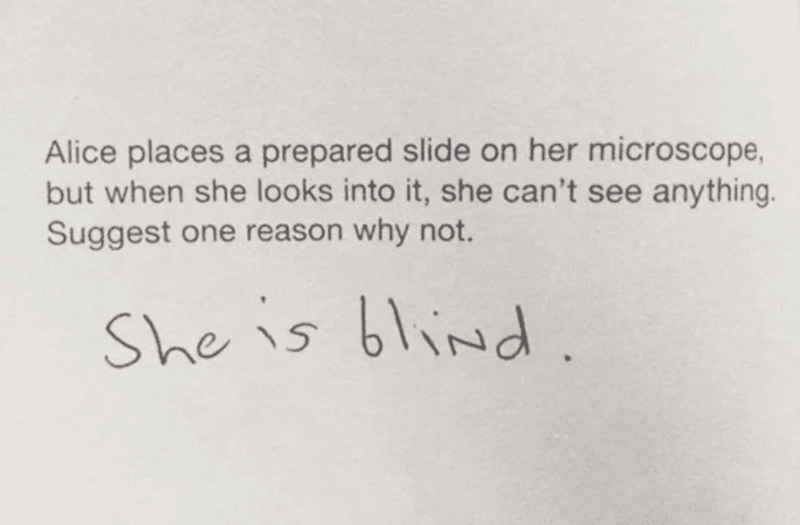 This may be the greatest answer of all time. 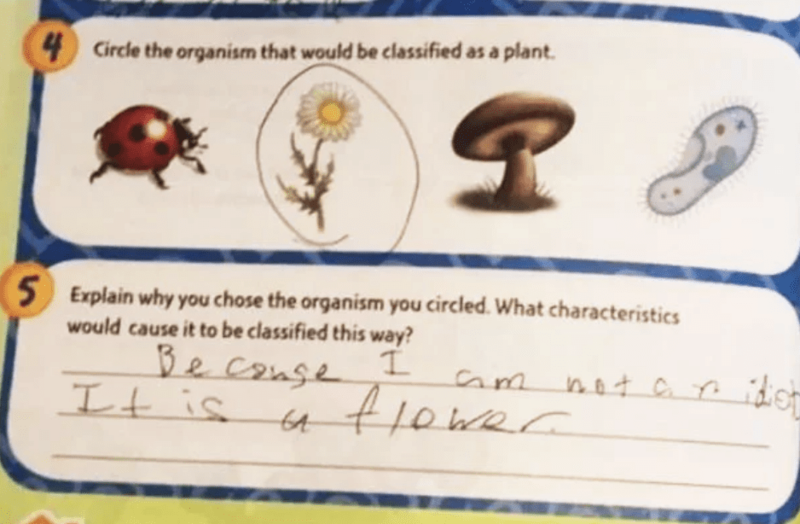 “Because I am not an idiot, it is a flower.” This kid is going places. Ask a lazy question. Get a lazy answer. What did this teacehr expect? 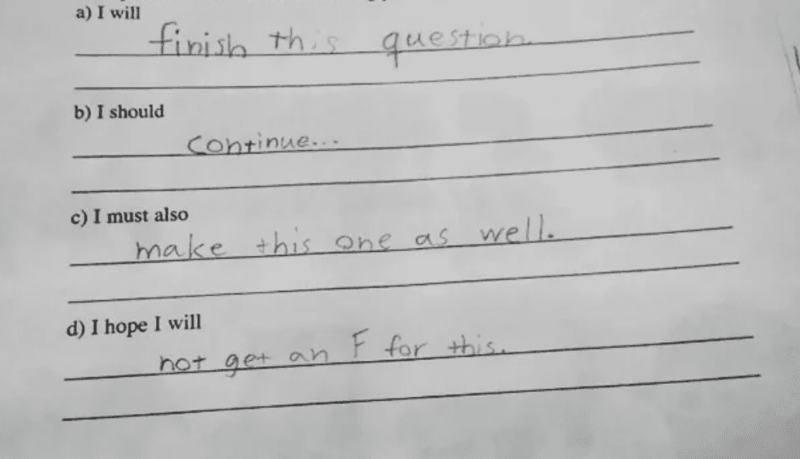 You gotta love this kid’s honesty. And the teacher must be a good teacher if kids feel so comfortable with him. But his response is hilarious. 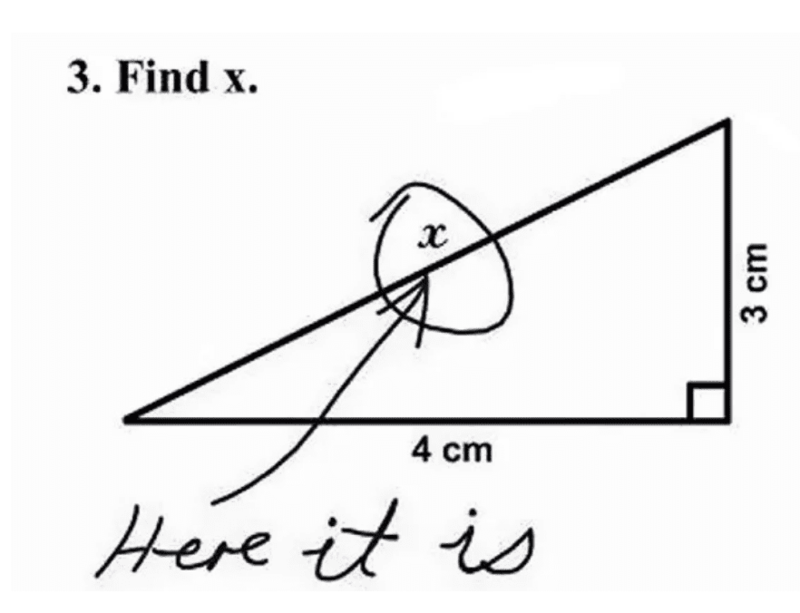 Is this answer correct? I’d believe you if you said it was. I had no idea that letters equal numbers. 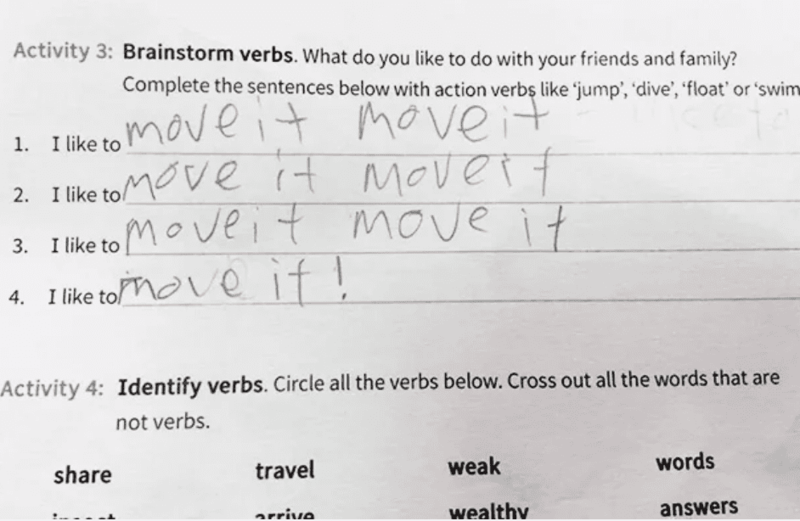 Not sure where this teacher was going with these questions. 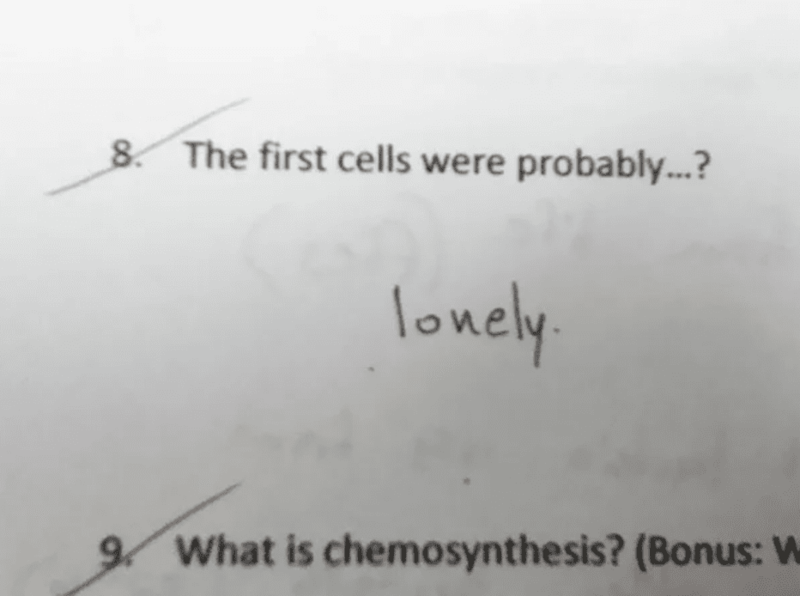 The student could be right. Or very wrong. 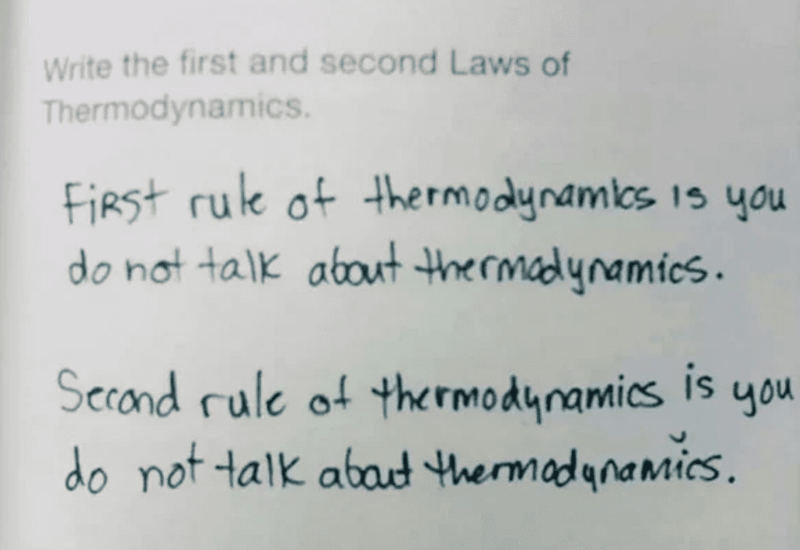 The teacher did a good job being clear with the question. 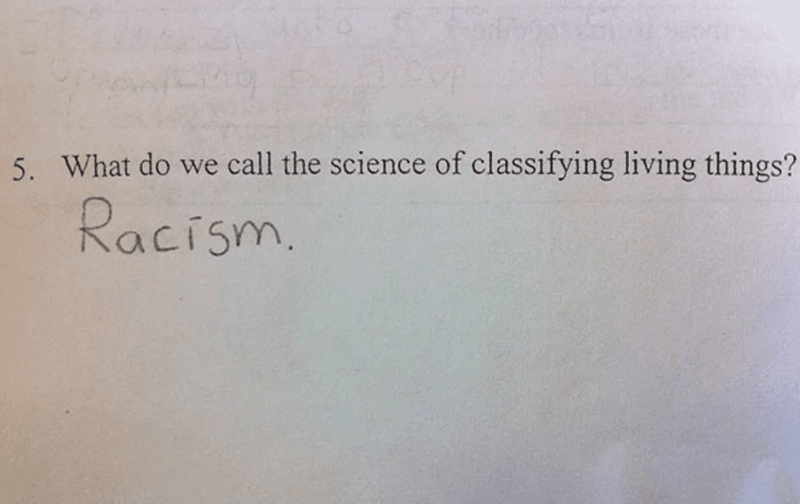 And the answer is technically right. They could have explained further though. Damn, this kid is bold. He has no respect for this test. And it’s pretty hilarious. I’m not sure who is funnier here. The teacher or the student. One thing is clear, they are both Beyoncé fans. 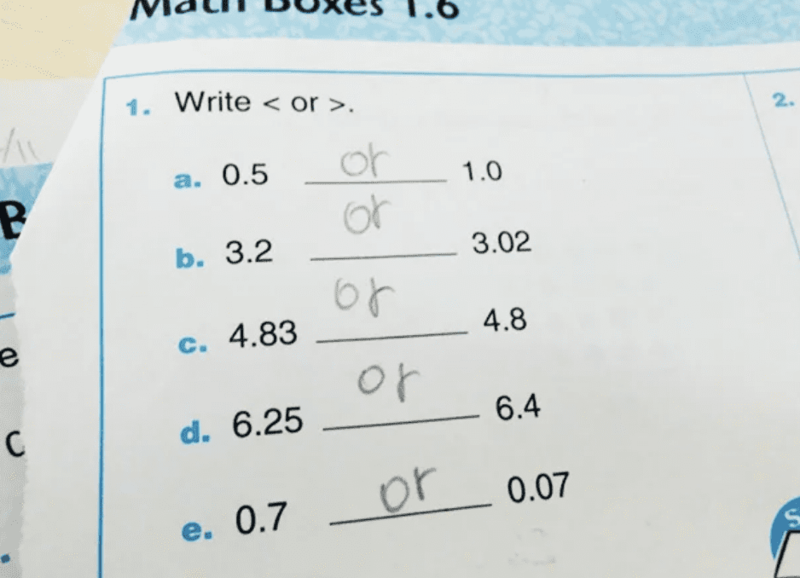 This kid doesn’t accept your answers. She makes her own. And the results are hysterical. I love the idea of teachers allowing their students to come us with something creative all on their own. What a great opportunity for students to grow. And this is just completely hysterical. 27) What Is Hard Water? Yes, water that has hardened is technically ice. 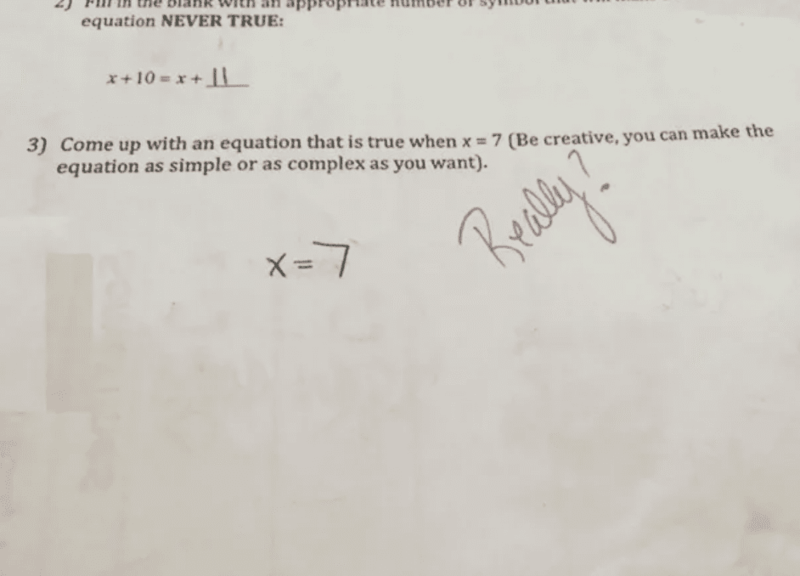 But that’s not what this teacher was going for. Clearly this kid hasn’t been paying attention. When a queen ascends to the throne, what does she do next? Well, sit probably. Yes, but not politically speaking. 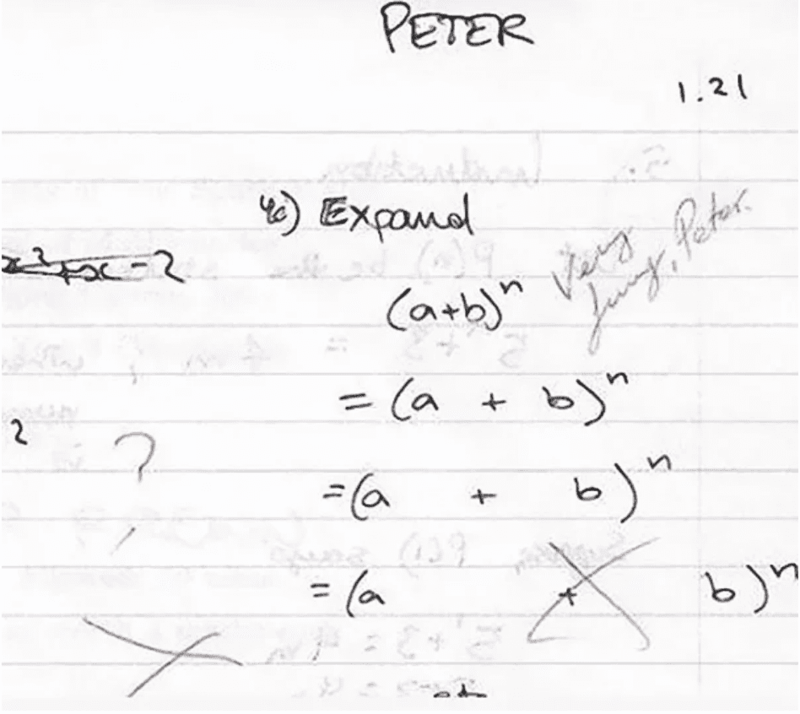 When you’re asked to expand your answer, this isn’t what they mean. 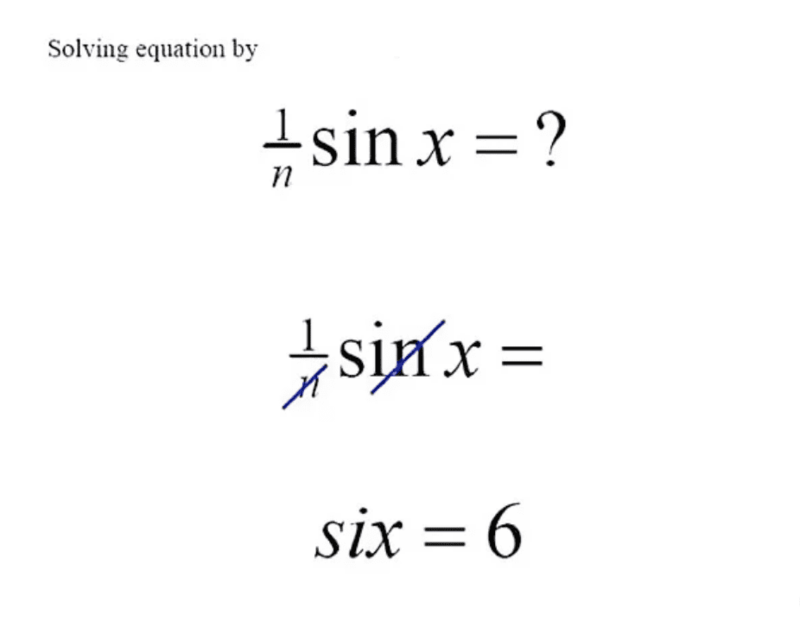 They want you to expandon the equation. Not space the characters farther apart. It’s 100 percent love. 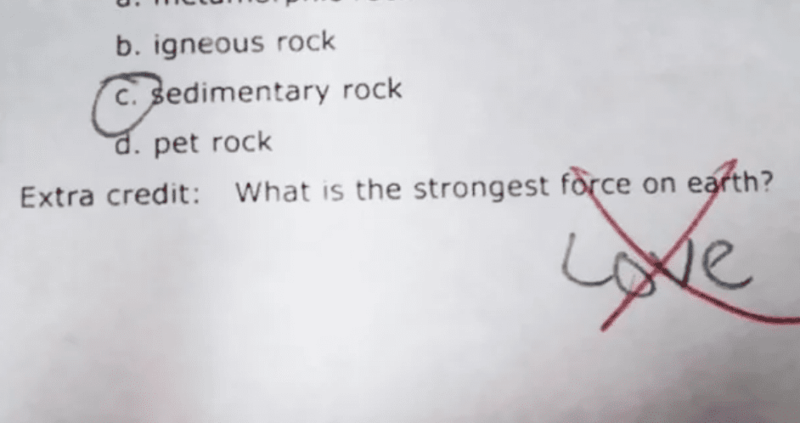 But this teacher is into science. So, that’s why he probably doesn’t get it. 31) Where Is The Nucleus? 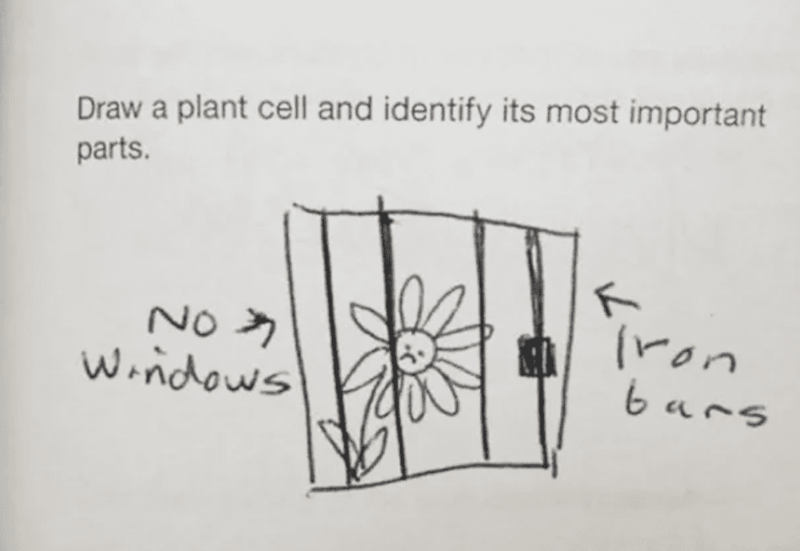 That is not a plant cell. Or an animal cell. It’s a plant in a jail cell. Especially at a young age. That’s why you need to be specific. This is the perfect example of what happens when you’re not. 33) How Many Ghosts Are There? 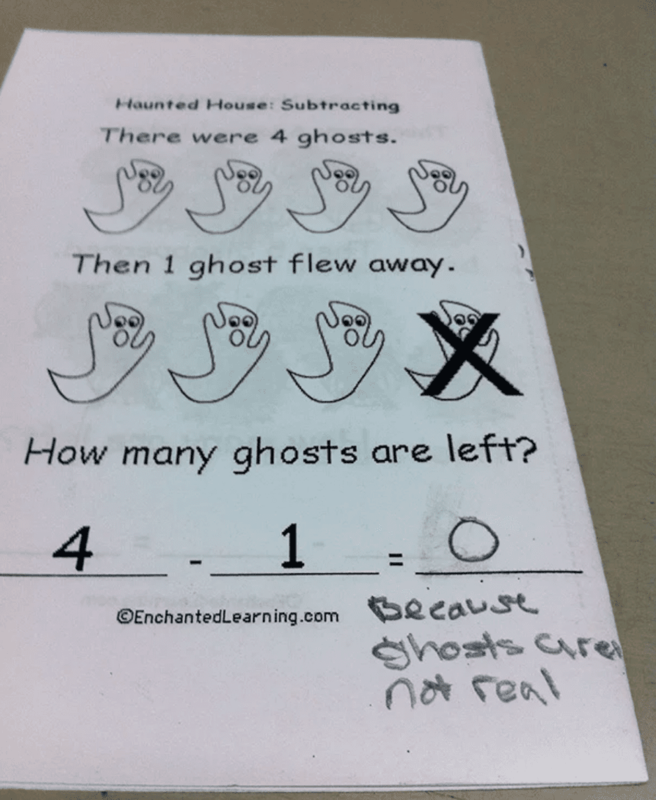 Maybe using ghosts for this math lesson was a bad idea. This kid can’t get passed his beliefs about the undead. Or rather, lack thereof. And this is one of those examples. 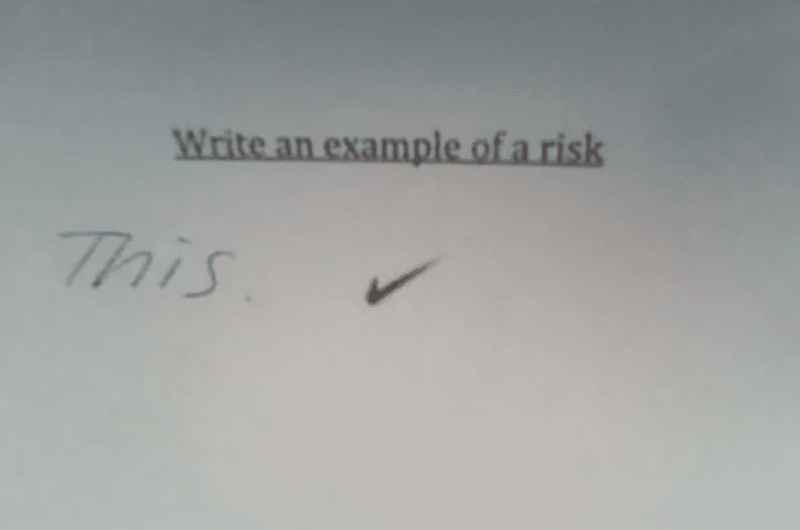 He took a risk. And it paid off. Clearly this kid doesn’t know. Being blind could be a reason. But the teacher wants to teach these kid how to use microscopes. Taxonomy. 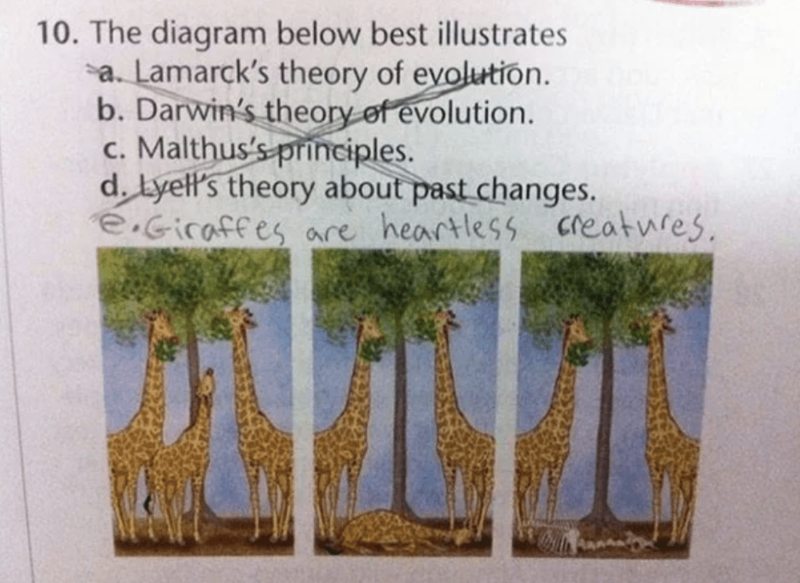 Taxonomy is the answer this teacher was looking for. Nice try kid. This example will make sense if you were around in the 90s. 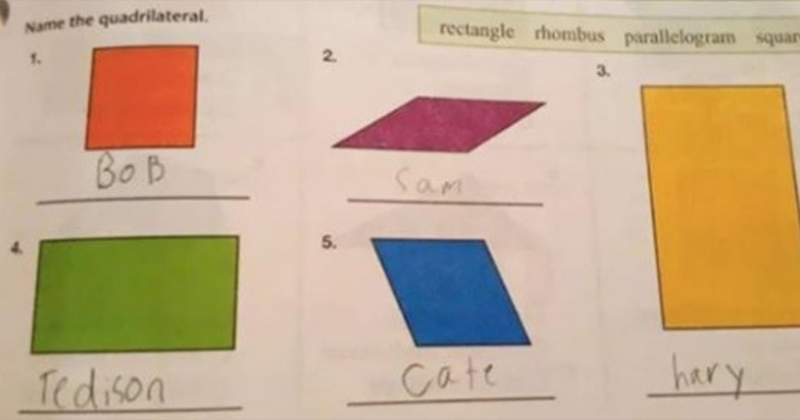 This kid better pray that his teacher is a fan of Reel 2 Real. If not, he or she is in big trouble. 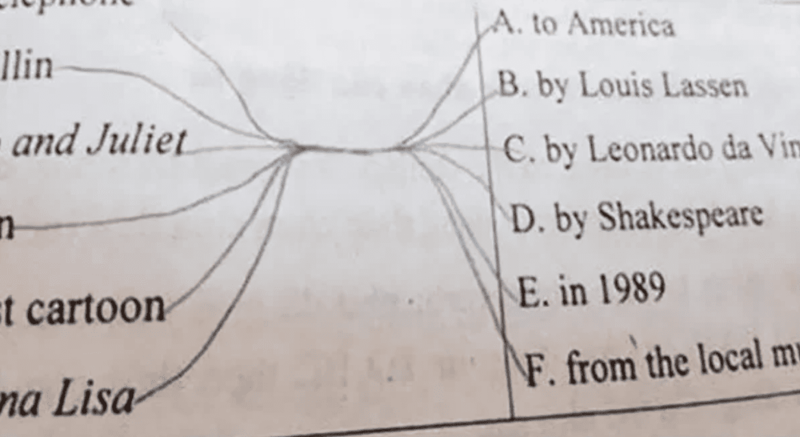 What kind of answers does this teacher expect to get? If the teacher can’t take the time to ask the questions correctly, why should the kid answer properly. 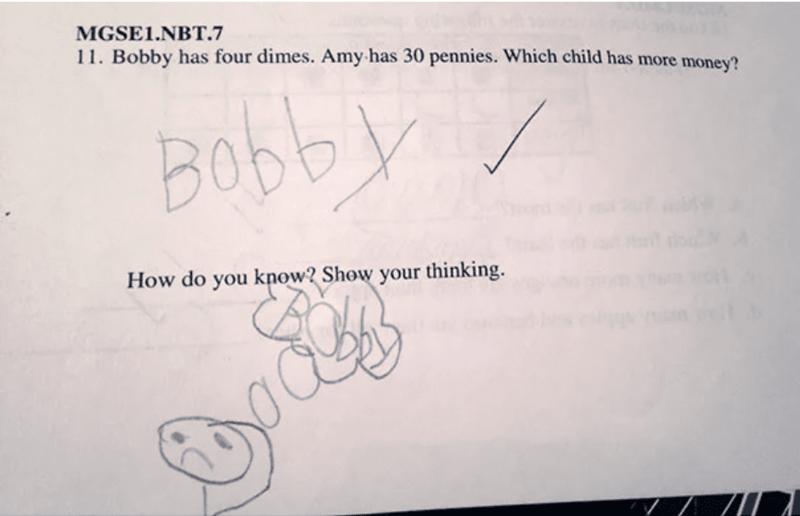 In the teacher’s defense, this kid probably had no idea what the answer was.